Wow. Who saw that curveball coming? “Over the last nine years my team and I have worked very closely with the Public Service of Canada to improve the prosperity, security and well-being of Canadians and improve Canada’s position in the world. “I am very proud of the remarkable work we have accomplished together towards meeting these objectives. I would like to thank each and every one of you for the support you have shown my team and me over three successive parliaments and for the dedication you have demonstrated in delivering for Canadians. 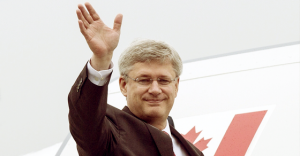 Does “Canada’s world-class public service” actually “support” Stephen Harper? It sure doesn’t sound like public servants share Harper’s “grateful” mood. Benson added she hopes “trust and respect for public service workers is restored” under Canada’s incoming government. Did Harper and the public service ever accomplish anything remarkable “together“? After taking into account how many times the Harper Government™ muzzled, blamed and politicized the public service: no, they likely accomplished very little “together,” actually. Just this week it was reported that Canada’s top bureaucrats met in May to devise a plan to resist the Harper government’s™ politicization of the public service. Throw that on top of the pile bureaucrats fired, dismissed or publicly attacked for falling out of line with the Harper Government™. Meanwhile, a 2013 survey of federal scientists conducted by the Professional Institute of the Public Service of Canada (PIPSC) found three-quarters thought the sharing of government science findings with the Canadian public has become too restricted. Half of respondents said they were aware of “cases where the health and safety of Canadians,” as well as environmental sustainability, had been compromised by political interference. 37% said they had personally been prevented from responding to questions from the public or media about their research in the past five years. Have public servants demonstrated “dedication” in “delivering for Canadians” over the last nine years? • Picking fights with public sector unions all along the way. And in spite of all that, they were repeatedly told they’re not even allowed to criticize Harper in response. After nine years under that kind of boss, Harper at least has one fact straight: Canada’s public servants are the most dedicated bunch of people in the world! Stephen Harper wishes you Happy Public Service Week! Who hasn’t asked themselves that question? 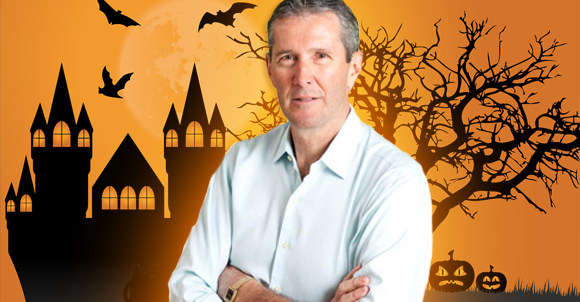 But now thanks to a haunting audio recording posted to YouTube on the eve of Halloween, we might finally be able to put an end to Manitoba’s greatest mystery of all – Brian Pallister hates Halloween!